Juhu Beach is spread across a stretch of 6 kms up north in Juhu-Vile Parle area of western suburbs in Mumbai. The place is known for its spectacular sunset view. 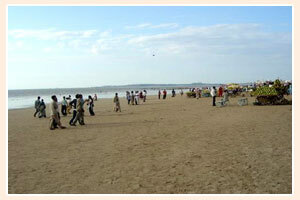 Juhu Beach is frequently visited by lot of people round the year. 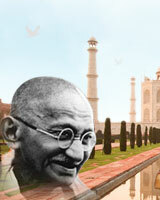 It has been picturized in many movies of the Bollywood. It is a popular place to spend time in the evenings and enjoy the appetizing local snacks of Mumbai. On weekends one can have the pleasure of watching, the dancing monkeys, acrobats, cricket matches, toy sellers and every other type of Indian beach entertainment. 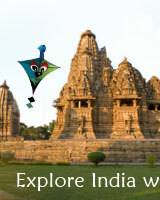 One can also visit the famous ISKCON temple, Prithvi theatre, Cottage Industry shop, etc., there. Juhu area now has some famous and big time shopping malls, multiplexes, state of art digital cinema halls. Juhu Beach is not good for swimming but it is surely famous for the variety of snacks that it offers.